Morning LIMettes, boy am I glad that it's weekend, work has been crazy this week and I've not been well either. Hope you have a fabulous Saturday! Super cute! And very clever too! Cute dogs! Cute card! And now I can't get that song out of my head! Oh my gosh...these two are super cute! Sit/stand! That's awesome. Wasn't sure when I first looked at it. Such a cute card. 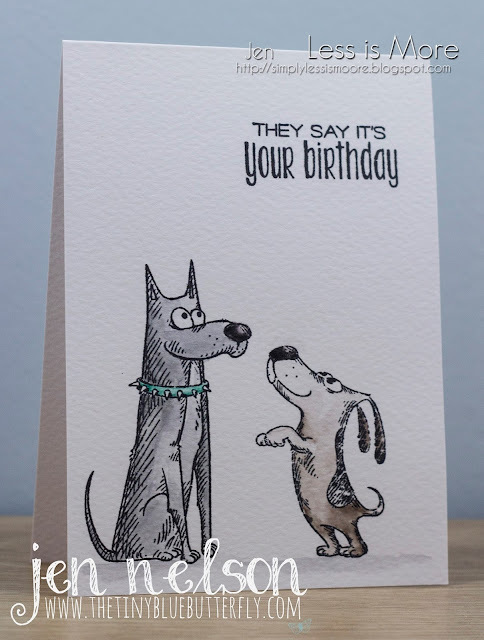 Great card, love these cute dogs! So cute ! Love these two doggies so well coloured ! Great take for this challenge with this double opposites ! Hope you're feeling better for the coming challenge ! Thanks for sharing and for inspiring.